The post Gibbon Heating & Air announce 2019 Saskatoon Air Conditioner Spring Special appeared first on Gibbon Heating & Air Conditioning Saskatoon. The post A Great Review From a Wonderful Customer appeared first on Gibbon Heating & Air Conditioning Saskatoon. The team at Gibbon Heating & Air Conditioning has proudly served Saskatoon for many years and our clients are like family. During this very cold Saskatoon winter we were happy to be of service to our clientele, some of whom experienced furnace breakdowns at night and on weekends, which can be particularly stressful. We are available for emergency service for times like this and our experienced team means we know Saskatchewan winters and how hard they can be on our furnaces. One such client of ours kindly took the time to write this great review of our furnace install work during an outage he experienced. Brent and the Gibbon team are proud of the hard work they do keeping homes and families warm in Saskatoon and it is reviews like this that make our day! “Our furnace broke down overnight Sat. Dec. 28/29 2018.The temperatures were dropping down to -30 with a wind chill of -40 and I placed a call to your office requesting assistance. Michelle took the call and arranged for technician Blair to attend and diagnose the problem. The fix required a replacement ccm fan which would be expensive, and difficult to source so I asked about a new furnace. Brent arrived and provided a quote and time line for installation. It was suitable so we decided to go with it. Brent also loaned us a pair of portable heaters to help keeping the house warm. Installer Aaron arrived as promised early Mon. 31 Dec. with the new equipment. He had us operational just after lunch time. We were impressed with his action. Our job at Gibbon Heating & Air Conditioning is to help maintain your home’s optimal comfort level. That means being available to help you at all hours of the day and night. We do offer emergency service and believe in going the extra mile for our clients. When you’re looking for a reliable and Trusted Saskatoon furnace sales, service, and repair business in Saskatoon call us today to book at (306) 343-9576. The post Gibbon Gives The Gift of Warmth appeared first on Gibbon Heating & Air Conditioning Saskatoon. The post Gibbon Gives Back Fall 2018 appeared first on Gibbon Heating & Air Conditioning Saskatoon. Gibbon Heating & Air Conditioning Saskatoon Launches Gibbon Gives Back With a HUGE Giveaway!!! 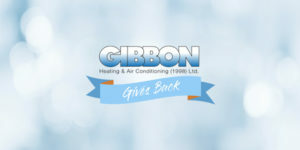 Gibbon Heating & Air Conditioning is thrilled to launch our ‘Gibbon Gives Back’ Campaign. Gibbon is a passionate and professional Saskatoon HVAC team who have been happily serving Saskatoon’s heating and cooling needs for over 40 years. As a team of community-minded people, they are always looking for ways to give back to the Saskatoon and area community that has supported them for 4 decades. 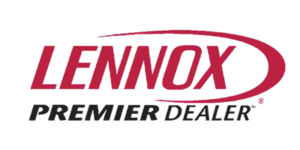 We are gifting a Lennox furnace & service package to a deserving Saskatoon and area resident. This package includes a Lennox furnace, full installation, and our industry standard regular parts and labour warranty. Gibbon Heating & Air Conditioning is calling upon the community to help them find a deserving recipient by nominating a family or individual they know that would most benefit from this giveaway!! Please fill out the nomination form below. All fields are required and nominations close October 12th and will be announced October 17th on Facebook! The nominees must be residents of Saskatchewan. The home where the furnace will be installed must be in Saskatoon or within a 20 km surrounding radius. This is for a residential furnace only. 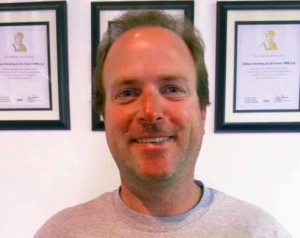 Gibbon has a history of professionalism and a foundation of trust and Brent Badrock, owner/operator of Gibbon wants to foster a strong and healthy community and is committed to giving back, with the focus on bettering the lives of Saskatoon and area residents. The nominations are now closed. Thank you so very much for your nominations. Stay tuned as we announce the winner next week! The post The Truth About Furnace Maintenance appeared first on Gibbon Heating & Air Conditioning Saskatoon. A Saskatoon furnace is doing a lot of heaving lifting in terms of maintaining optimal home comfort for your family, so it really is the most utilized piece of equipment in your home. We take it for granted when it’s humming along, working as it should, but because it’s so vital for the 7-8 months of winter we get here in Saskatoon, is the very reason you need regular attention and professional furnace maintenance. Annual furnace maintenance is your best line of defense against unexpected repair costs. Our licensed and trained furnace technicians do a thorough inspection of all elements of your heating system during the service appointment. It’s during this inspection that we look for anything out of the ordinary and wear and tear that could cause problems. We will then provide you with a detailed list of our discovery and a new furnace filter. Our trained furnace team inspects your heating system looking for leaks that could be dangerous to you and your family. 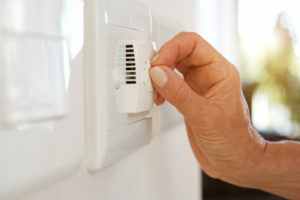 We all know of the dangers of carbon monoxide but even plugged or dirty filters can be a fire hazard. The build up of dust and particles in a dirty filter also negatively affects the quality of air in your home. 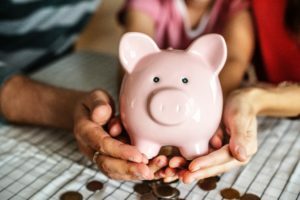 We understand that it seems like a waste of money if nothing is wrong with your furnace, to have us in to services something that is working fine. However, many components of your home’s furnace are housed inside it’s casing and it’s not until we do our thorough service in the furnace maintenance appointment that we uncover potential troubles. A service call is booked at your convenience and you can prepare for that cost. If left unmaintained and something was to go wrong with your furnace, depending when it happens – you may you need urgent after hours assistance. It is those time that our calls come with additional 24/ 7 emergency charges. Booking an annual furnace maintenance with Gibbon Heating & air conditioning is the best way to avoid an unexpected outage and the costs that come with that. Our job at Gibbon Heating & Air Conditioning is to help maintain your home’s optimal comfort level. When you’re looking for a reliable and Trusted Saskatoon furnace sales, service and repair business in Saskatoon call us today to book at (306) 343-9576. The post Preparing Your Home Comfort System for the Cooler Weather appeared first on Gibbon Heating & Air Conditioning Saskatoon. It seems like everywhere you turn now in Saskatoon whether it’s driving down one of the city’s streets, or looking at the trees in your own backyard, you see that telltale sign of fall….leaves that are turning yellow and ready to drop off their branches. Your furnace may be getting fired up for the first time in a while and this is a reminder to consider your home comfort system maintenance. It’s a good idea to take advantage of the warmer weather we still have to prepare your heating system in your home for the cool weather. 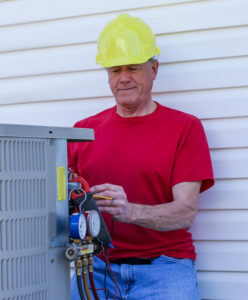 The following are some tried and true tips that we suggest will help you keep things running smoothly and hopefully keep unexpected furnace and Air Conditioning repair costs low. Now that the daytime temps are decreasing and the evenings bring a cooler breeze, take the opportunity to open the windows and give your indoor air quality a boost. The air inside your home can be several times more polluted than outdoor air, so take this opportunity to bring in fresh air before winter’s chill begins. Get in and around your A/C unit to remove leaves, twigs, and debris that surrounds it. While you’re doing that, look at the casing around the air conditioning unit for anything that is cracked or showing rust. You want to ensure the seals are all tight and if you see something off, please contact us to take look. These problems may seem minor but if left, can cause troubles when you go to restart the unit next spring! If it’s been awhile since you last had that furnace thoroughly checked, call to book in for a Saskatoon furnace tune up. While we do our best to fit urgent calls in, it does get busy once those furnaces get turned on and everything freezes, so book us in now and avoid any hassle. A tune up is the best defense against unexpected maintenance costs and helps keep your equipment running smoothly. Once you’ve turned off the A/C inside, you should ensure you’ve turned off the main power to the unit. 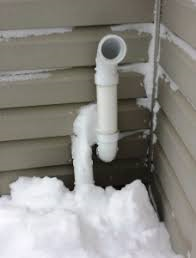 Not only is this a good safety step for when you’re doing your season end maintenance, but it keeps water out that could freeze and damage the condensing unit. You should also cover your unit with one that fits your unit or even a tightly secured tarp to protect it from the cold, snow, and ice we are guaranteed to get over the winter here in Saskatoon. This prevents cracking, keeps debris away, and helps insulate the unit. Our job at Gibbon Heating & Air Conditioning is to help maintain your home’s optimal comfort level. When you’re looking for a reliable and Trusted Saskatoon Furnace and Air Conditioning sales, service and repair business, we service Saskatoon and area. If you have any questions about preparing your home comfort system for our long Saskatchewan winter, please don’t hesitate to call us to book at (306) 343-9576. 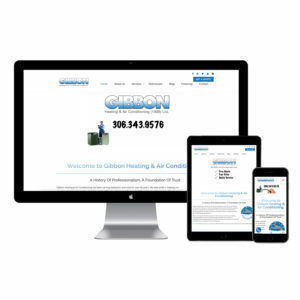 The post Launch Of Gibbon Heating & Air Conditioning New Website appeared first on Gibbon Heating & Air Conditioning Saskatoon. Gibbon Heating & Air Conditioning is a Saskatoon Furnace, Air Conditioning and Plumbing company. 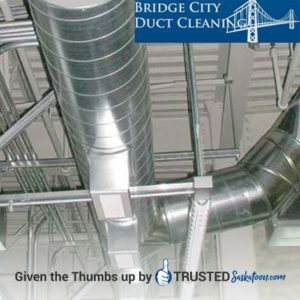 Our expert HVAC and Plumbing team provide excellent services to Saskatoon and area and we have done for over 40 years! We felt it was time to refresh our online presence to better serve our client and to keep up with the online revolution! Thank you to the Trusted Marketing Services Web Design Team for making the process as painless and smooth as possible- we love the end result. The site will have more new features, job postings and helpful articles, so do check in regularly to see updates. We love how it better showcases our services, our community involvement and other great information for our clients! The post Gibbon’s Saskatoon Furnace Troubleshooting Tips appeared first on Gibbon Heating & Air Conditioning Saskatoon. 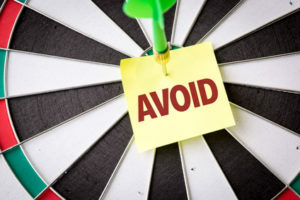 The post Mistakes to Avoid When Buying a New AC System appeared first on Gibbon Heating & Air Conditioning Saskatoon. The post Why You Should Always Hire Professionals for AC Repairs appeared first on Gibbon Heating & Air Conditioning Saskatoon.